If you've been dreaming of a whiter smile, we can help make your dream a reality! At Morse Family Dentistry, we specialize in professional teeth whitening in St. Augustine that will provide you with immediate results. Our teeth whitening services in St. Augustine have effectively restored the smiles of many patients with stained, dull, or discolored teeth. Some commercially available whitening toothpastes can effectively remove stains and make teeth a few shades brighter. However, many of these over-the-counter products have abrasive substances that can actually damage and wear away the enamel of your teeth. Whether you want a stunning white smile for your class reunion or simply want to enjoy the benefits of a whiter smile, Boost teeth whitening will help. This innovative teeth whitening procedure will safely provide you with a visibly whiter smile after just one visit! Opalescence Boost is a simple in-office whitening procedure that starts with a short preparation to protect your lips and gums. The whitening gel, along with a fluoride used to strengthen the teeth, is applied. After approximately 15 minutes, the gel is re-applied up to 2 more times. In less than 90-minutes your teeth will be considerably whiter. Opalescence Take Home Whitening Gels are delivered via customized bleaching trays perfectly fit to your mouth. We will create the trays from an alginate impression of your mouth, making Opalescence Take Home Whitening Gels so effective. Many of our patients use Opalescence Trèswhite to whiten their teeth in-between office treatments. These disposable teeth whitening trays in St. Augustine fit comfortably and discreetly over your teeth, making it easy to whiten your smile anywhere. After wearing these trays for just 15-60 minutes once a day, Opalescence Trèswhite Supreme offers noticeable results after just one week! Stop covering up your smile due to embarrassing tooth discoloration. 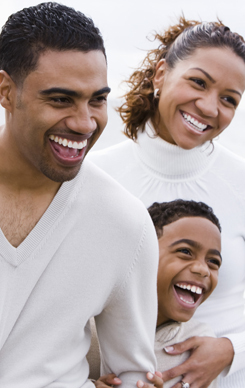 Teeth whitening services from Morse Family Dentistry will have you smiling again. Contact us today to learn more! Enjoy gentle dental care at Morse Family Dentistry. Teeth whitening in St. Augustine will give you a younger smile in less time than you may have imagined. Contact us today! We proudly serve St. Augustine, St. Augustine Beach, Vilano Beach, Palm Coast, Hastings, and World Golf Village.